There are many ways to obtain kombucha cultures, which I describe here. I would like to present the Kombucha SCOBY Exchange on Facebook, which is sort of a Facebook version of the Worldwide Kombucha Exchange. I previously suggested that individuals who were looking for SCOBYs or who had extra SCOBYs to share to write a post on Kombucha Fuel's Facebook wall. However, over time, I found that this was not very effective as the requests and offers got pushed down as people wrote new posts on the wall. 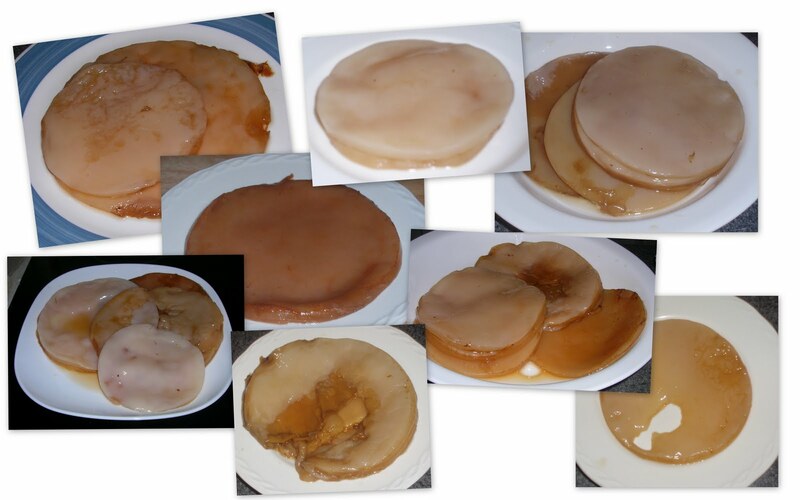 I have thus created the "Kombucha SCOBY Exchange" as a note on Kombucha Fuel on Facebook. This way, all of the SCOBY requests and offers are together, making it easier for those who are looking for kombucha cultures to connect with individuals in their area who have extra SCOBYs available. I hope that this will become a helpful resource, and if anyone has any comments, questions, or suggestions, I welcome them. Welcome to the Kombucha SCOBY Exchange! Looking for a kombucha mushroom? If you are looking for a kombucha mother, write a comment saying that you are looking for a SCOBY and list your location with as much information as you feel comfortable. If someone with extra SCOBYs in your area sees the request, hopefully they will contact you so you can schedule a pick-up! Have extra kombucha mushrooms to share? If you have extra kombucha mothers that you would like to share, likewise leave a comment and list your location with as much information as you feel comfortable. This way if someone is looking for a kombucha mushroom in your area, they can contact you! Also, please don't be shy if someone is already offering kombucha mothers in your area. It can be helpful to have multiple people offering SCOBYs in the same area! -You can delete any of your own comment(s) at any time if your situation or location changes. -If you find someone to connect with, consider contacting them directly. This will help to keep the Kombucha SCOBY Exchange more clutter free and easier to navigate. Thank you for participating in the Kombucha SCOBY Exchange, and I hope you find this exchange useful! Thanks for leaving a comment! However, the aim of the Kombucha SCOBY Exchange is to put the offers and requests on Facebook, so I would recommend posting your offer/trying to connect with someone through there if you are looking for a response. Or you may consider trying the other options for obtaining a SCOBY that I wrote about in a previous post http://kombuchafuel.blogspot.com/2009/10/where-to-obtain-kombucha-cultures.html. Good luck! Great blog!!! I just made my first batch of Kombucha and used 1/2 a scoby that a friend gave me. He had stored it in the refridgerator. I let my batch sat for 10 days and just bottled it, however it did not produce a baby scoby...is this normal or should I look for a new mother scoby??? The tea taste just like the other Kombucha's I've tried, but not sure if or what I may need to do. I have a post on some reasons why a new SCOBY may not form: http://kombuchafuel.blogspot.com/2010/03/no-scoby.html. I guess I have an old scoby...really dark! I originally was looking on craigslist but i didnt want to buy from some backyard brewer.. I often hear people recommend getting a culture from somebody by finding them on craigslist or facebook etc. - this seems like a fine idea but it also seems like the most risky option. If you grow one yourself, you are 100% sure of the origin and quality. If you buy one at a store or online, you can hold the seller accountable. But if you get one from a stranger on facebook, isn't it possible that the culture is unhealthy or dangerous (even if the person isn't malicious, things happen)? Has anybody heard any horror stories about that? That is a good point, Ryan. I have not heard any horror stories yet, but if anyone wants to share any problems they've had from SCOBYs they've received, please share! is the facebook note still active? i'm getting an error message when i try to click through. i have SCOBYs that i'd like to pass along, am in los angeles and have been brewing very safely and successfully for over 70 brews. Thanks for your comment. Unfortunately the Facebook note is currently inactive. Up at the header there is a notice that this blog and Facebook page are currently on hiatus. More information on the hiatus can be found here: http://www.kombuchafuel.com/2013/07/kombucha-blog-hiatus.html. Thank you so much for your offer though. That's great that you have been brewing for so long! Perhaps you could try going through Craigslist or some local groups in your area? I began this blog because I love brewing and drinking kombucha, and I want to share my experiences and anything and everything that I know about it! Through this blog, I hope to facilitate the discussion of kombucha and home-brewing kombucha among new and experienced brewers alike. Q&A: What to do with extra kombucha mushrooms? Q&A: Why does my kombucha smell like sulfur and/or rotten eggs? Is it safe to drink? Q&A: I left my kombucha mushroom in the fridge for awhile. Can I still use it? I am a Certified Health Coach, and I have completed the certified Didactic Program in Dietetics at Boston University and the Health Coach Training Program through the Institute for Integrative Nutrition. In addition, I am a candidate for a Master of Science in Food and Nutrition at Framingham State University. However, I am not a Registered Dietitian. This blog reflects my personal experiences, and is not meant to replace the advice of your current physician and/or dietitian. Any statements or claims about the possible health benefits conferred by any beverages, foods, herbs, or supplements have not been evaluated by the Food & Drug Administration and are not intended to diagnose, treat, cure, or prevent any disease. http://www.kombuchafuel.com. Awesome Inc. theme. Powered by Blogger.